Founded in 2008, Apliiq is a new media fashion company that collects rare, vintage, deadstock, and classic fabrics, then offers them up as an interactive palate for customizing everyday apparel. Each item is handmade to order in downtown Los Angeles. The company expanded very quickly and soon had difficulty managing their extensive records using pen and paper. They decided to purchase a CRM that could be the best fit for their business. The challenge was to find a user-friendly CRM that anyone in the company could learn and use easily. 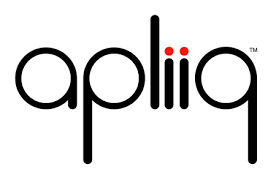 As small business Apliiq has unique business functions and Zoho has the flexibilty to meet them all. It's just amazing! With Zoho Sales IQ, our website could provide an interactive design experience for clothing, and helped us build strong, powerful relationships with new customers. Good customer relationships = more revenue.. Zoho Books made our accounting operations easy. We're able to oversee our customers' daily operations, helping to increase sales and build our brand. The deciding factor for us was the flexibility of Zoho CRM. The ability to add new users and features helped us expand our business exponentially.